We are pleased to announce our speaker for our March 22nd IANDS meeting will be Kimberly Clark-Sharp. Kimberly Clark Sharp, M.S.W., has earned the title of “Near-Death Comedienne” through her many presentations about near-death experiences. 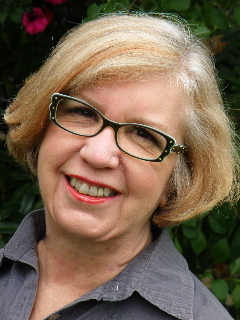 She is the founder and president of the Seattle International Association for Near-Death Studies (IANDS), the oldest and one of the larger IANDS groups worldwide. A clinical social worker, Sharp has taught at the University of Washington School of Medicine and at Seattle University. She lives in Seattle, Washington, with her husband and daughter. Her book, After the Light, is a near-death classic, educating thousands about the near-death experience with much humor and tact, delivering the serious message that we do not die in an irresistibly humorous package. It is difficult to put her book down once you begin to read. This is Kimberly Clark Sharp’s message from her extraordinary experience during the time after her heart suddenly stopped beating and she lay on the sidewalk, not breathing, and without a pulse. Swept into a peaceful loving place of brilliant golden light and warm comfort, she saw, for the first time, the meaning of life – and death. Thereafter, Kimberly, with hamster Toto at her side, left Kansas for Seattle – known as “the Emerald City” — to fulfill a destiny devoted to the service of others as foreseen at the end of her near-death experience. Guided by a new sensitivity to the presence of angels, demons and other invisibilities, Kimberly attained a Masters degree in Social Work at the University of Washington and began a career in medical social work that put her in direct contact with dying people – and people who almost died and came back. It is the inspirational stories of these near-death experiences, as well as Kimberly’s own life challenges in love, family life and the diagnosis of breast cancer, that form the core of her surprisingly funny page-turner of a book. The March 22nd meeting of IANDS will begin at 7PM Salt Lake County Commission hearing Room at the County Government Center, north building located at 2001 South State, SLC. We meet the fourth Friday of each month except December. Bring a friend as meetings are free of charge.